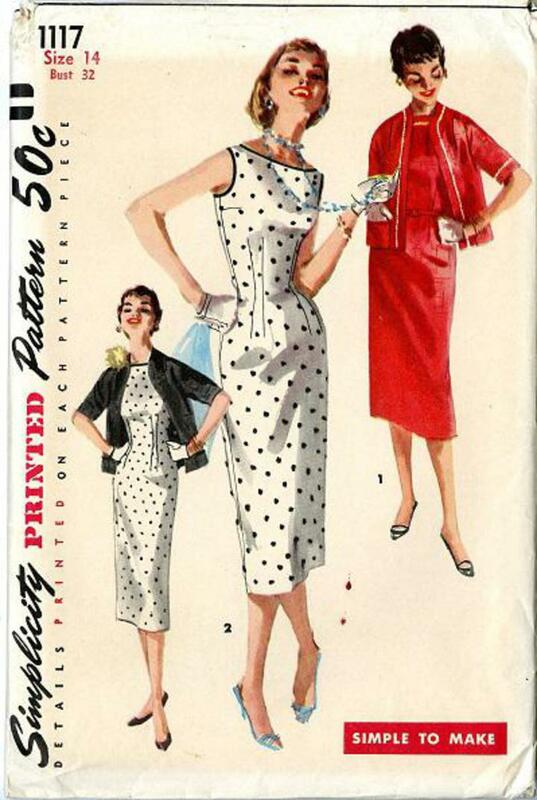 1955 Simplicity #1117 vintage sewing pattern, misses' sheath dress and jacket, size 14. Ensemble features sheath dress styled with bateau neckline. 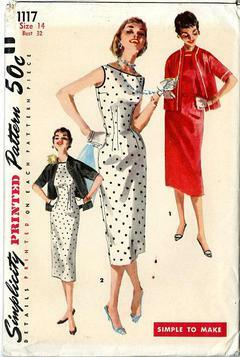 Dress is sleeveless and fitted at the waist with darts. Hip length jacket has kimono sleeves.